Wire rope winches, commonly referred to as winches, hand winches, electric winches and more are used in a number of applications as a lifting or pulling solution. Electric Wire Rope Winches are designed to run on a single phase or three phase power supply and can be used for lifting or pulling (dependant upon the style) electric winches take the effort out of operation with a simple wired pendant control or optional radio remote control. Simply press the command and the winch will carry it out. 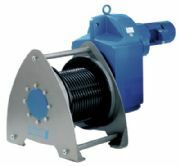 Hand Winches are ideal for industrial or domestic purposes, affordable and easy to install/use. 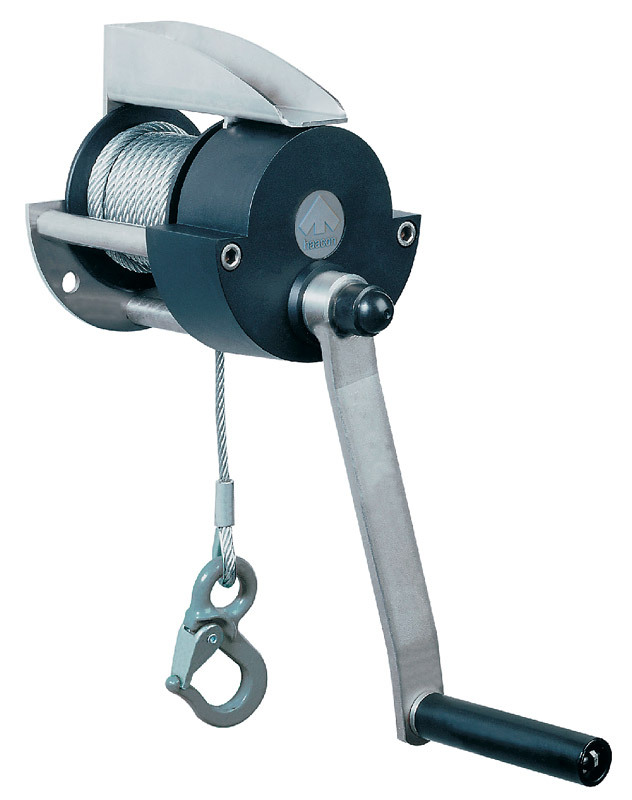 Hand winches require human interaction and cannot be automated or remote controlled. However they are much smaller and are appropriate for many applications that require small units in confined spaces or quiet operation, or simply where budgets are tight. Industrial Winches are commonly fitted to davit cranes and various other applications in the industrial sector where pulling or lifting is required. As you can see the capacity is easily increased with the cost effective addition. 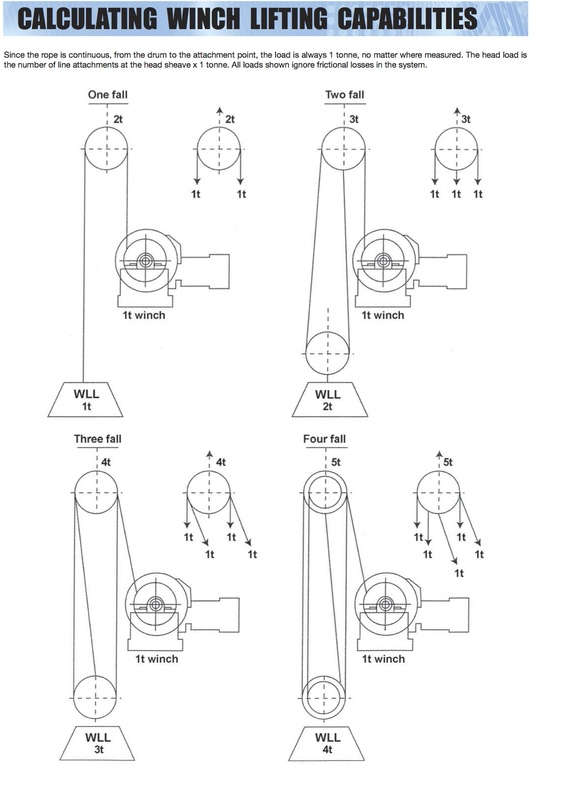 Wire rope winches are often used when the direction of the rope needs to be changed with the addition of a sheave block, sheave blocks can be fixed to position the wire rope to feed horizontally but leave vertically making the hoist a lifting hoist without it being fixed vertically above the load. Wire rope sheaves are often used to increase the capacity of the hoist by creating a double reeving system explained in the image above. For more information on hand winches, electric wire rope winches and more please feel free to comment below. This entry was posted in Uncategorized and tagged 4x4 winch, car winch, electric winches, electric wire rope winches, entertainment winch, haacon, hand winches, industrial winches, lifting equipment, lifting winch, manual winch, manual winches, pfaff silberblau, pulley, pulling winch, recovery winches, sheave block, winch, winches, wire rope, wire rope pulley, yale winches. Bookmark the permalink.